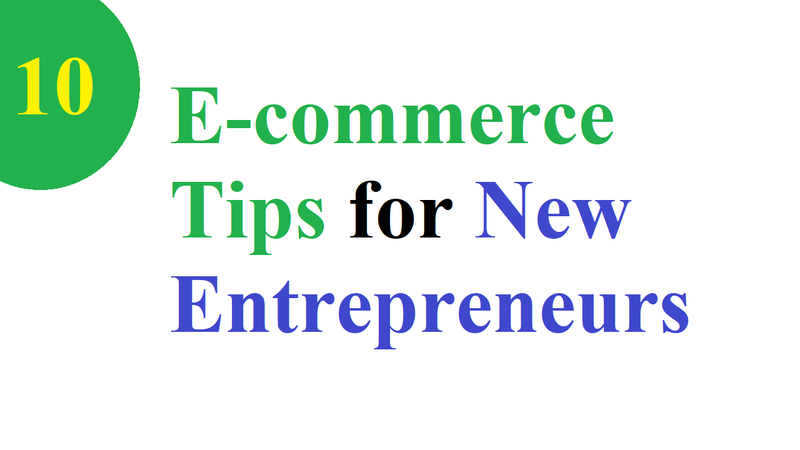 If you’re a new Bangladeshi entrepreneur then you may be looking for the e-commerce tips. When Bangladesh lacked widespread internet access or a reliable online transaction system the e-Commerce sector has seen dramatic growth since the early 2000’s. And it starts when the Bangladesh Bank began permitting online transactions in 2009. Also, it gets a boost when the Bangladesh Bank permitted the purchase and sale of goods and services online using international credit cards. That’s why this is the best time to build an e-commerce website so that you can start an online business easily. You can start an e-commerce website and start your online business in Bangladesh while sitting over into your chair within a few clicks. For this e-commerce business in Bangladesh, you need your wish and confidence. It’s estimated by the E-Commerce Association of Bangladesh (E-Cab), which is the trade body for e-commerce in Bangladesh that there are more than 700 eCommerce sites and around 8,000 e-commerce pages on Facebook in Bangladesh. And many of them are new entrepreneurs and we’re here to help them presenting some e-commerce tips. Well, let’s know some of the essential tips regarding your e-commerce business in Bangladesh. It’s common to get disrupted when someone is new in e-commerce business in Bangladesh. It may be the effect of the new technologies that are taking over old ones on a daily basis. You must be active and innovate regularly to be in the game. That’s why most companies like Google, Facebook, and Apple keep investing in innovation so that they can cannibalize their own products. For the same reason, the companies like Yahoo, Nokia, and BlackBerry are struggling and they are in the death threats. Also, it comes handy as the idea of frugal innovation used widely by BRAC, an NGO of Bangladesh. But, it’s not all about being innovative all the way. When you take feedback regularly and keep learning, you get to innovate for the market you serve which is only possible. Because they seem too simple to work people often don’t follow the simplest of strategies. If you do your work hard and let other things follow then it’s very effective for your business. So, it’s one of the great e-commerce tips when you’re in an e-commerce business. Although you often caught up with the things that seem important, it’s not important as our work. You must start with one to even give it a try while having a big team that you tend to think. However, those who have built great companies, they always tell a different story. Sales are the most important thing you do, no matter what business you are in. And sales are largely about offering a solution to a problem of your client while achieving sales leads is critical. But, you should be okay, as long as you put importance on the problem of your client and design something that works for him/her. It’s is very crucial for a new entrepreneur to keep the alignment with your loved ones and keeping them informed about your work and maintaining transparency with them. This is because your family could understand your situation. It’s often hard work and full of ups and downs going forward to build a business from the ground up. But, it makes things helpful for an entrepreneur when he/ she have a family on the side. Moreover, one can share the problems and even can have a shoulder to cry on when things go wrong. Although there is a culture of copy paste in Bangladesh which we don’t appreciate, that’s not appreciated. It will go nowhere if an idea does not have substance and a unique distinguishable feature. And a very few people tend to work hard around an idea and come up with something that adds extra value compared to that we already have in the market, which is an irony in Bangladesh. So, it’s one of the top e-commerce tips to avoid copy-pasting in this sector. Although it’s for young entrepreneurs to build a company in Bangladesh, it’s also difficult to build a successful company anywhere else in the world. You’ll undoubtedly find that most of them came from underprivileged backgrounds If you read the biographies of great people. As this is an incredibly important anecdote, keep it in mind always for inspiration. As building a company is hard in Bangladesh, it’s equally true for anywhere. But, we are a land of immense potentials despite some extra disadvantages in Bangladesh. Ensuring your own MasterCard for an online transaction is one of the initial steps of your e-commerce business. You have to do a lot of online transaction in each segment of your online business journey. You can take one from Payoneer as it’s widely used in Bangladesh. Your domain name will be your prior business identity in the online world. This is the way that your target audience will find you and spread your business name. As it’ll represent your whole business nicely, you need to choose a catchy and easily pronounced domain name. So, consider finding a name that is easy to remind and keep in mind. You need a hosting service to make your website live. It’ll be the best decision to go top hosting provider because there are some major hosting providers offer hosting service. Payment Gateway is the most crucial thing to consider in the e-commerce business. You’ll be unable to provide online payment method within your website without integrating payment gateway. However, it’s nothing difficult while integrating payment method within your website. In this case, you need a verified online account either in PayPal or Payoneer or some other recognized ones. As PayPal is not available in Bangladesh, you can use Payoneer that’s widely used here.